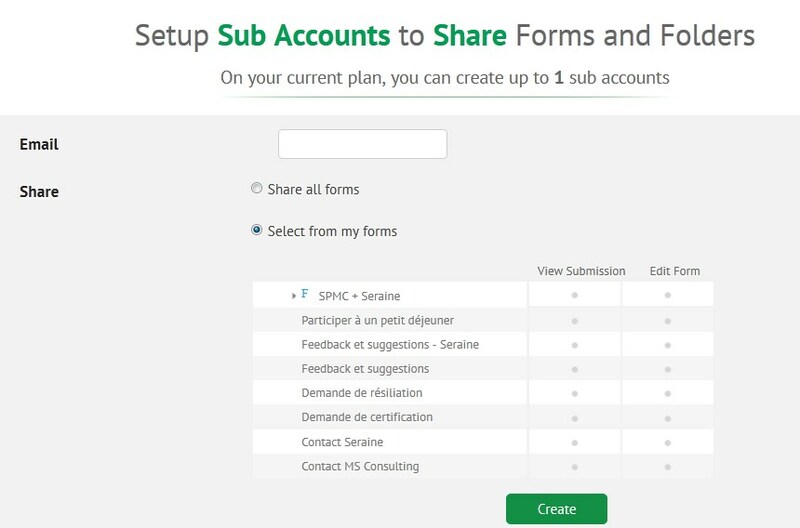 Hi, if found out the sub account option which looks really cool because it gives me the opportunity to start delegating the administration of my forms. But i have trouble using it, it doesn't let me choose which forms to give access to.. i don't see them, so i can't select them.. how could i do ? 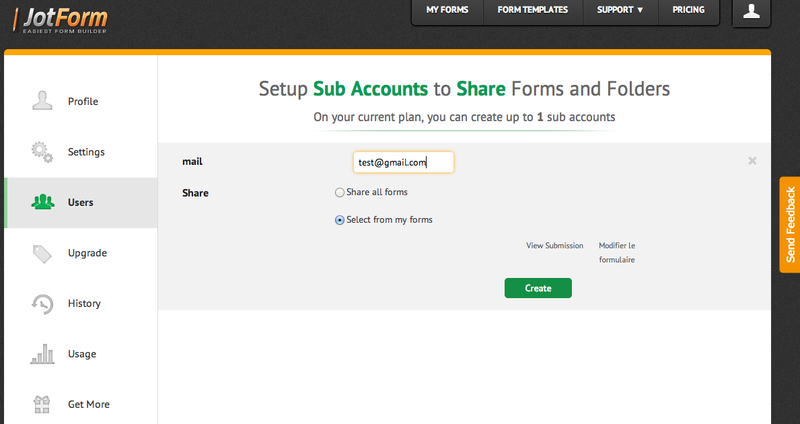 I checked your account and i was able to see the list of form when i tried to create sub account. Request you to clear your browser cache and try again. Let us know if you conyinue to have this issue.